Get a Cape Coral Roof Inspection to analyze and certify your Home’s Roof Condition. Licensed roofing contractor and inspector serving the Cape Coral, Ft. Myers and Naples area. 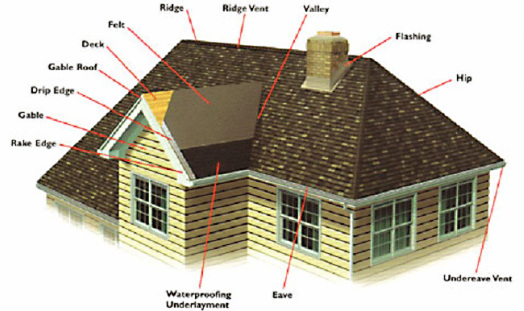 We examine your roof condition inside and out for a comprehensive and quality roof inspection. There are many homeowners who have experienced roof leaks or noticed visible signs of aging on their home. However, a lot of people do not realize that there are many components to your roof that are not always easily identifiable, especially to the untrained eye. roof inspection, which consists of examining the exterior of the roof and basic components such as roof vents, roof stacks and flashings. This is a basic standard in the inspection industry. However, more thorough roof inspections can identify areas of concern and small problems that could potentially lead to big problems that results in more costly repairs. your roof by getting on the roof itself. Also we will inspect the roof from the attic, which is very important in a thorough roof inspection. We will inspect and review potential issues and provide you with pictures and a full overview report of the final roof inspection. Schedule your Cape Coral Florida roof inspection today. Inspect all flashings in the roof system. Inspect all pipe collars, storm collars, roof vents, power fans, soffits and gutters. Inspect gutter system to insure adequate drainage. Schedule a thorough roof inspection for your Cape Coral Florida area home from your licensed roofing contractor, Tru Check Home Inspection today. A Cape Coral Roof Inspection requires inspecting various critical areas of your roof. We service Cape Coral, Fort Myers, Lehigh Acres, Bonita Springs, Naples, Sanibel and Captiva Florida.